You must be a member of the Toronto Spontaneous Activities Group to attend this activity. Would you like to join this group? 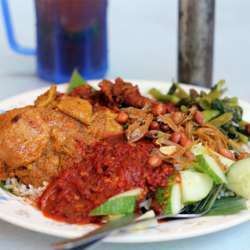 According to its site, Matahari Bar and Grill is an exotic blend of Malay, Chinese, Peranakan (nyonya) and Indian cuisines. Let's enjoy, and kick off the Winterlicious season. Lunch menu starts at $23.